Since the debut album, Disconnection, was released in 2015, and with the P3 Guld award nomination for Best Pop, international record contract the band has managed to play over 100 shows and sold-out tours. The 2nd of June Vita Bergen will release their second album Retriever. Completed in Los Angeles and produced by their front man William Hellström together with Martin Forslund, who also has worked with Swedish legend Håkan Hellström. April 14 is the release of the first single, Nixon, a song where The War on Drugs meets Madonna. Following the release of the debut album in the fall of 2015 there was extensive touring in Scandinavia, Germany, Spain, Switzerland, and Kosovo, which gave Vita Bergen a solid place on the European indie scene. In four years the band has taken themselves from a claustrophobic 8 person bus and illegal nightclubs to over 100 shows all around Europe. In contrast to the apartment where the first record was recorded, Retriever sessions was held in diverse and exclusive studios. Hostels with cigarette buds under the bed, have been exchanged for expensive hotel rooms, skyscrapers, offices in LA and overwhelming responses at sold out shows. All these influences have shaped the sound of the new album. The songs were written in collaboration by the best friend duo of Robert Jallinder and Willliam who at same time dropped out of university to form the band. “The theme of this record are much different from the first album This album in much more direct and touches on concrete subjects that are happening here and now, like you and me, relationships that are really important, when all the make-up has run off. At the same time the whole process after Disconnection we felt like we wanted to get it all back with this release. We wanted to sound less pissed off. We are really happy right now and we want to do pop music” says William Hellström. 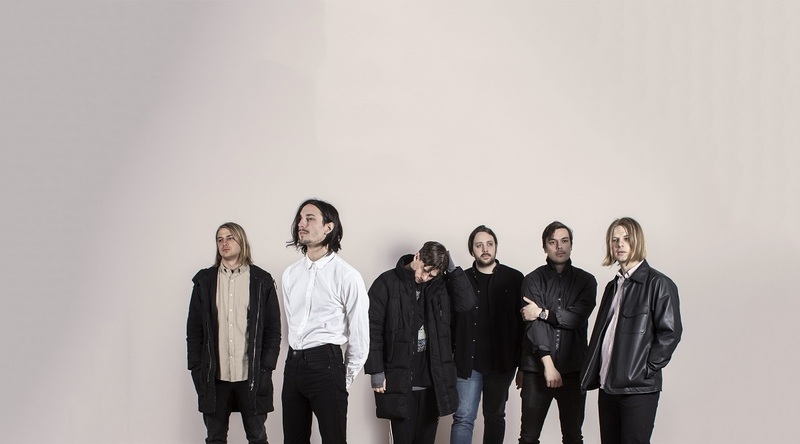 The rest of the band members include Hampus Bergh, Gustaf Gunér, Jakob Kullberg och Andreas Jallinder.